BA CityFlyer is a wholly owned subsidiary airline of British Airways with its head office in the Didsbury area of Manchester, England. 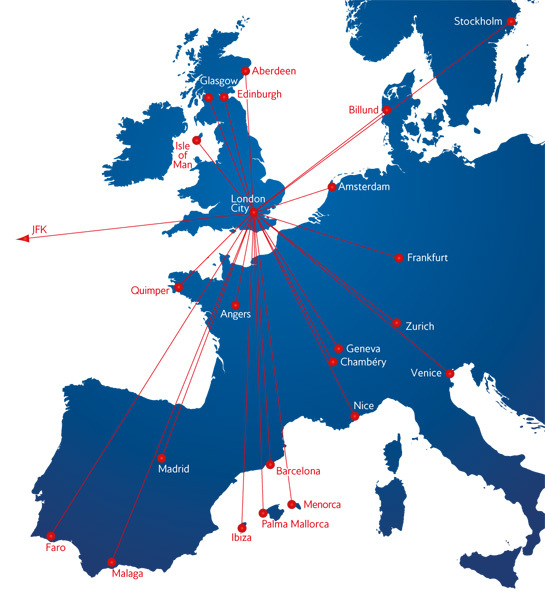 It operates a network of domestic and European services from its main bases at London City Airport and Edinburgh Airport as well as other minor UK bases. All services operate with BA's full colours, titles and flight numbers. BA Cityflyer Limited holds a United Kingdom Civil Aviation Authority Type A Operating Licence, meaning that it is permitted to carry passengers, cargo and mail on aircraft with 20 or more seats.